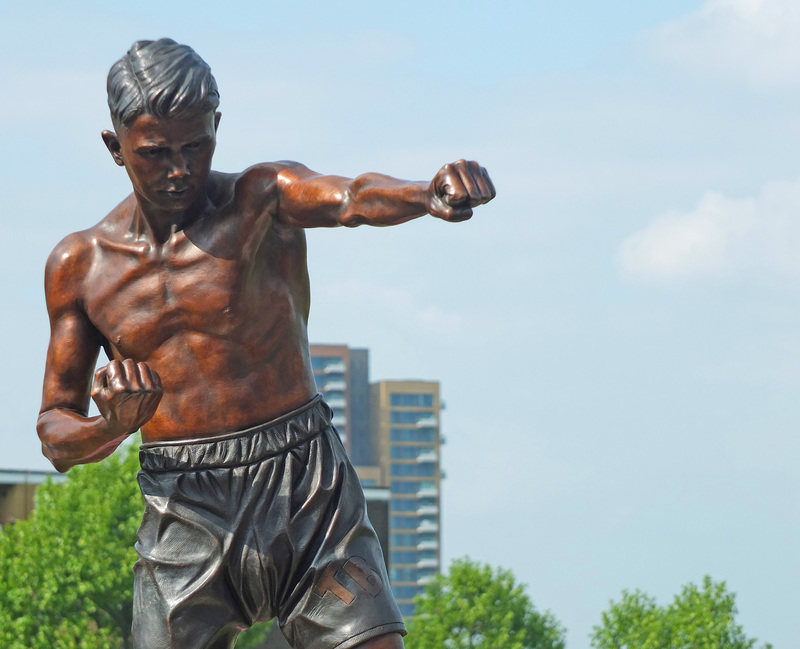 On Friday 16th May 2014 London acquired its latest statue… a sculpture of Teddy Baldock, the East End lad who rose to fame in the 1920s by becoming Britain’s youngest ever boxing world champion- an accolade which remains to this day. Teddy Baldock… London’s latest public artwork. Teddy’s statue stands directly opposite Langdon Park Community Sports College which is situated beside Landgon Park DLR station. 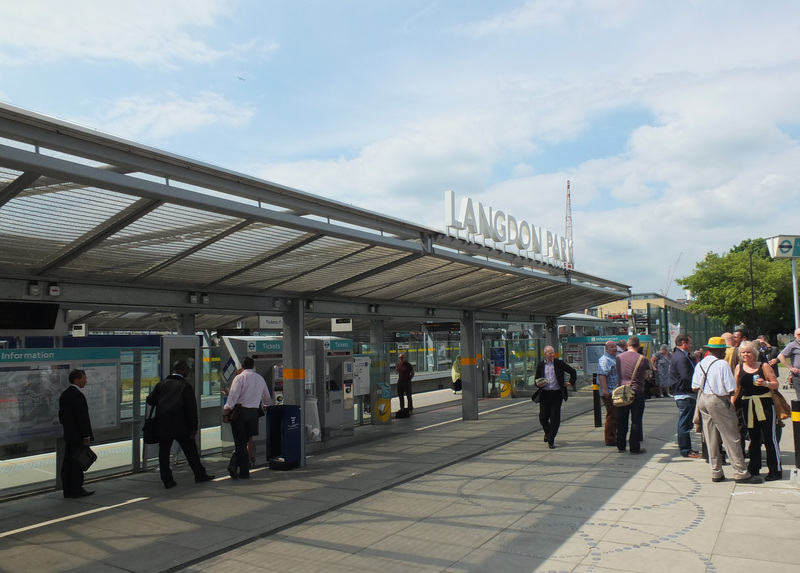 Langdon Park DLR. Teddy’s statue stands just to the right of this view. 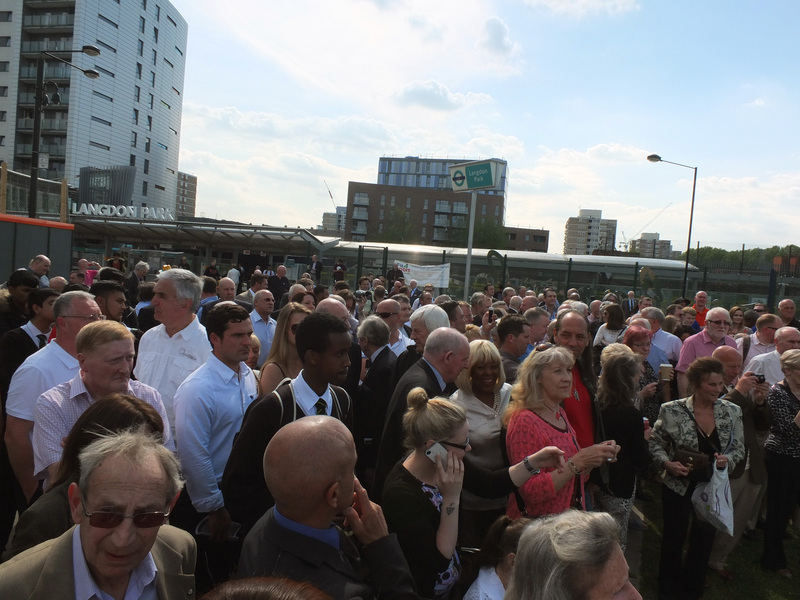 The weather on the day was glorious… and as 3pm approached, a large crowd gathered to witness the ceremony. A crowd gather to see Teddy’s statue unveiled. 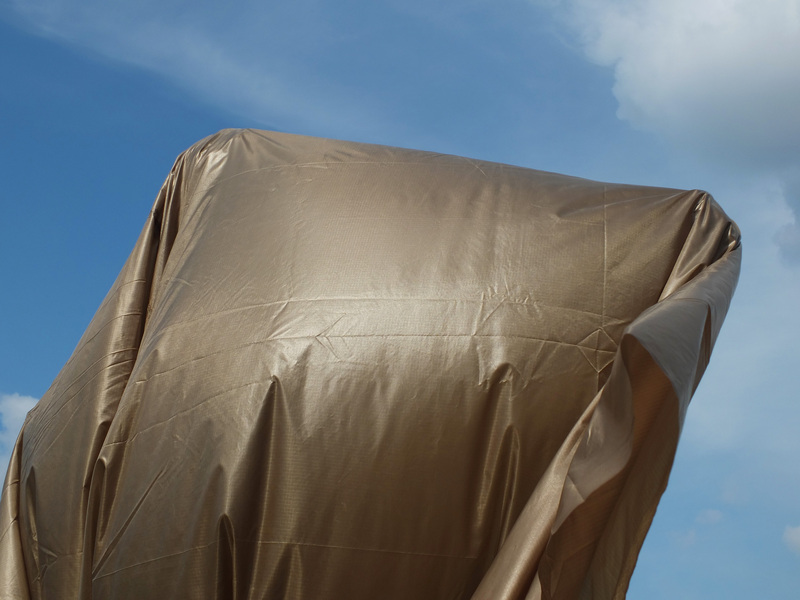 Until the moment arrived, the statue (sculpted by Staffordshire based artist, Carl Payne) was draped in a golden shroud… which threatened to billow off with the wind on more than one occasion! 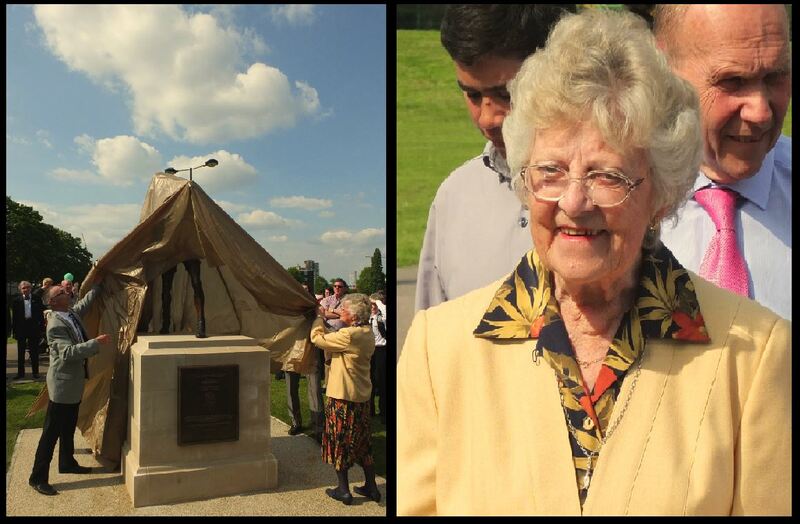 The statue was finally unveiled by Pam Baldock; Teddy’s daughter. Pam Baldock unveils the statue of her father. 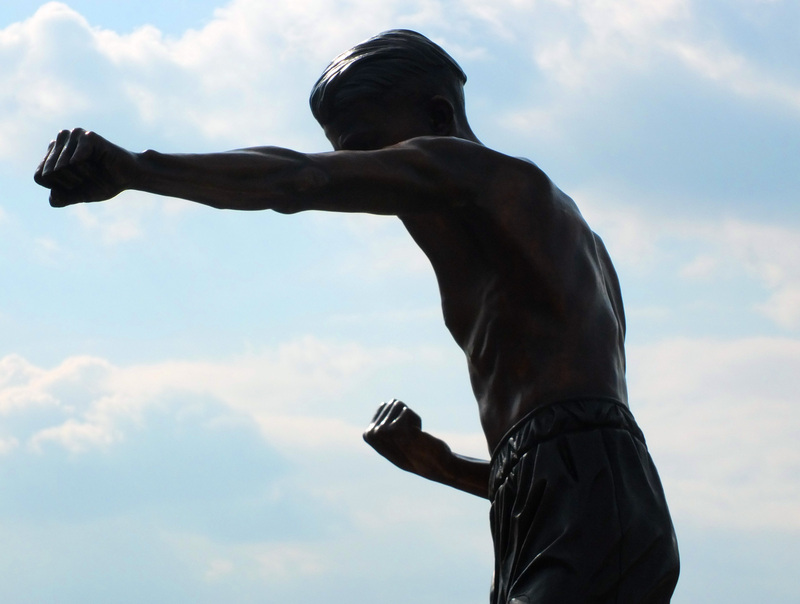 Although wee on first impressions, the statue of Teddy is in fact life-sized…he was a tough little fighter! A plaque on the statue’s plinth informs the public of Teddy’s achievements. After the unveiling, a group of ex-boxers gathered beneath Teddy’s statue for a fun photo-shoot. 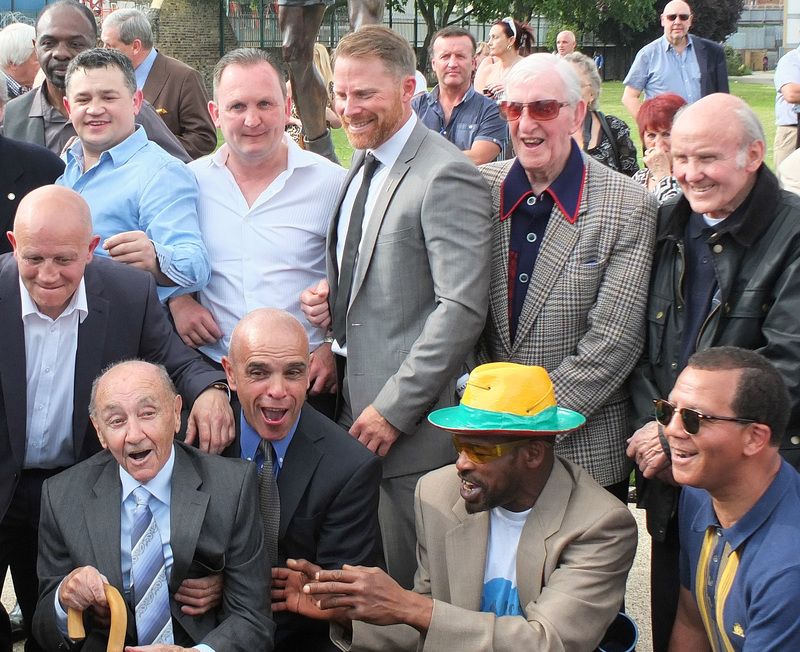 Former boxers gather in honour of Teddy Baldock. When he died in the early 1970s Teddy was a tragic figure; penniless, homeless and long-forgotten, his funeral poorly attended. However, thanks to the wonderful campaigning carried out by his grandson, Martin, the legacy of one of the East End’s finest sons has been revived; the huge turnout for the unveiling bearing testament to Teddy’s achievements. 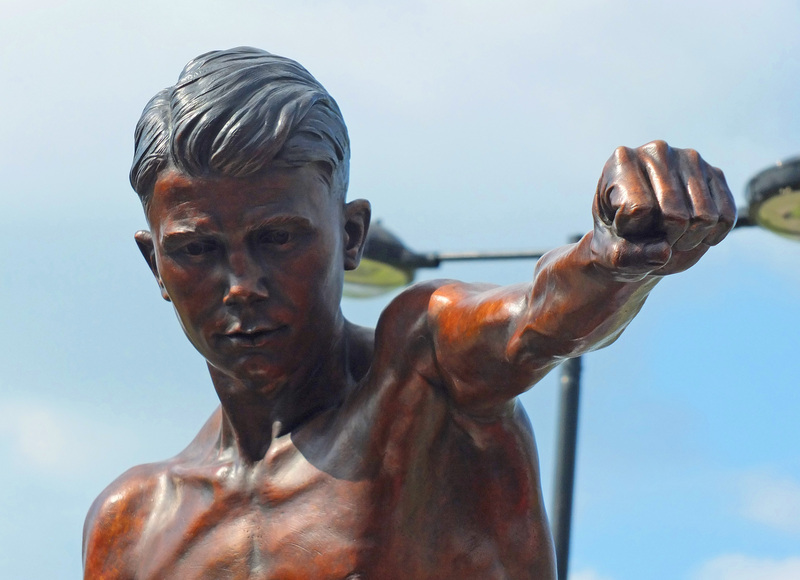 As well as the statue, Teddy’s memory will now live on in the Teddy Baldock Sports Benevolent Fund; a charity which supports former sportspeople who have been disabled by physical or mental injury or are suffering from general hardship. Please click here for more information. 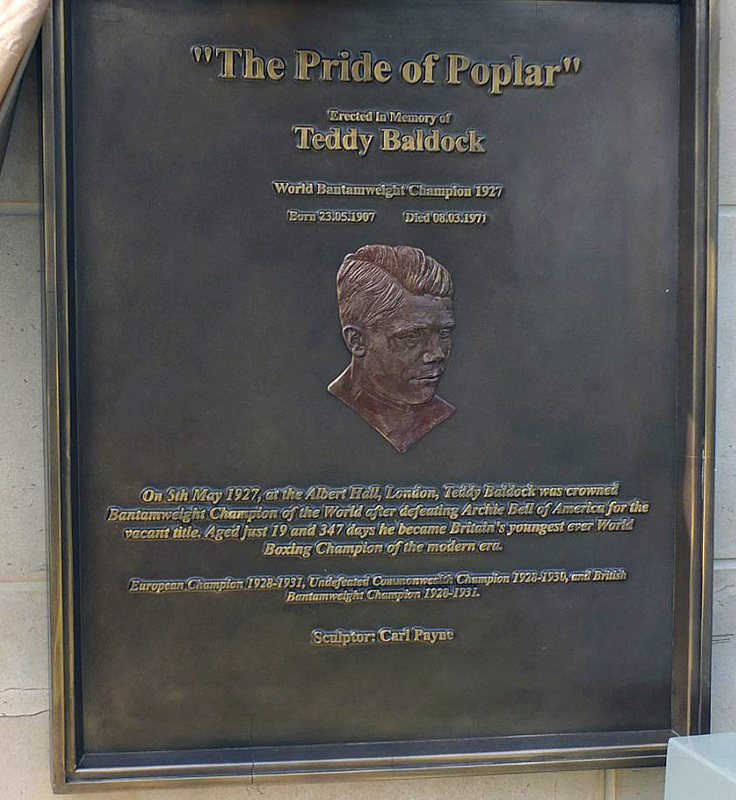 Teddy Baldock, the ‘Pride of Poplar’. 1907-1971.